Rent Modern Liquor Store | Corporate Events | Wedding Locations, Event Spaces and Party Venues. Progressive Shelving is based on Kevin Zraly’s method of arranging his celebrated wine lists from lightest bodied to heaviest, to make it easier to pair wine with food. 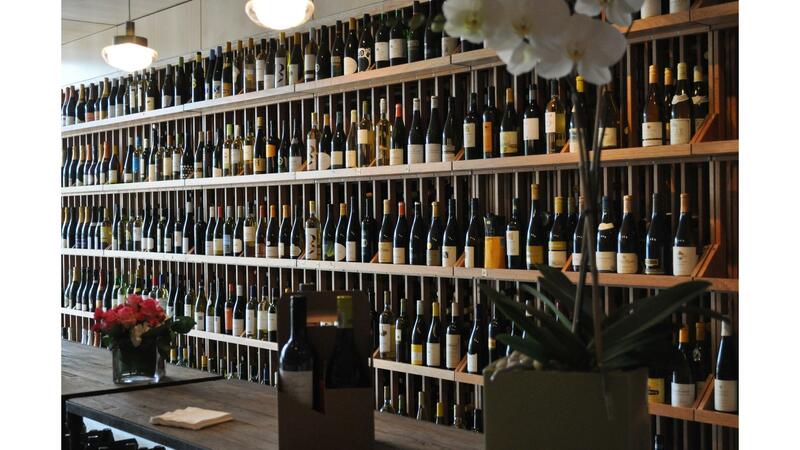 Progressive Shelving allows our staff to help you pick the perfect wine for your palette. It encourages you to explore other regions, varietals, producers and price points, all while staying in your comfort zone. It also helps you to expand your knowledge of wine in an easy-to-understand way with no intimidation. Not sure where to start? You’ll find Enomatic Tasting Machines at both of our stores, which dispense free samples of 16 different wines that we think best typify the Progressive Shelving in the store. The philosophy of using hospitality-driven service to help their customers find the perfect bottle of wine extends to their latest venture, Urban Cellars. Through personalized one-on-one consultations and wine tastings using the state of the art wine access system, Coravin, owner TJ Douglas uses his knowledge of the wine industry to fill his clients’ cellars with everything from approachable every day wine, to birth year vintages, to cases that can age and appreciate in value for decades to come. You build it, we fill it.